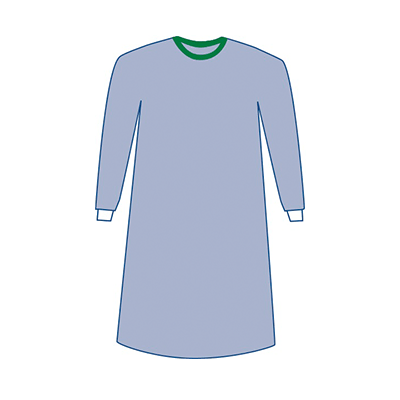 Medline Eclipse sterile surgical gowns feature a variety of styles and protection levels including non-reinforced, fabric reinforced and poly reinforced gowns that are also available with breathable sleeves and extra-long sizing. The Eclipse gowns feature a velcro-style neck closure that allows the neckline to easily adjust to a wide variety of people. In addition, the velcro-style closure helps prevent gapping in the front of the gown to further help protect against fluids. 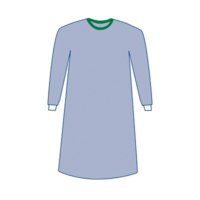 The soft, cloth-like texture says “comfort” as soon as you put it on.Those who spend much of their day in a surgical gown will appreciate the comfort of Eclipse. For more information on Medline’s Eclipse Surgical Gowns, please visit www.medline.com.